Although most institutions of higher learning teach students to write literary fiction, there is no denying the appeal of genre fiction writing. 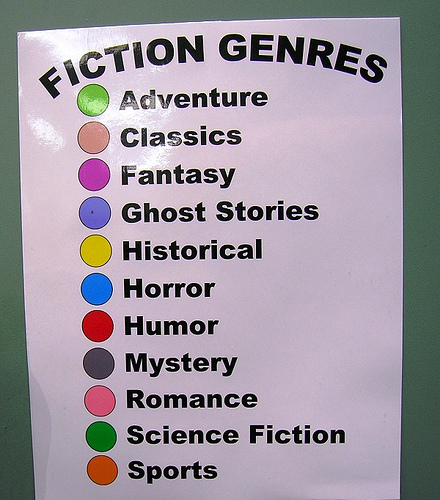 I used to write genre fiction all the time. Somewhere along the way, I felt trapped by the constraints and stopped writing myself into a corner. Sometimes I miss it. What do I mean by constraints? When writing fiction for a particular genre, you might feel the need to alter your ideas to fit the mold. For example, if you have a historical fiction novel that you want to revise into a fantasy novel, you might want to add elves, dragons, or magic. As a result, your second draft would bear little to no resemblance to your first draft. I’m telling you to avoid genre fixation. Write what you want to write without worrying about genre. That way, you can write without fear of not quite fitting into the mold. Writing isn’t just about following the rules. At the end of the day, it’s the story that counts. I’m actually reading “Writing Popular Fiction” by Dean Koontz at the moment and one of the first things he mentions is genre and fitting your story into such a niche. I’m finding it interesting how he feels that certain plots can only exist within certain genres and it seems to be suggesting there is a ‘formula’. I agree with your post in that people choose to write what they want to write and shouldn’t feel the need to have to place constraints upon themselves just to fit into a particular genre. However, I think if you are writing for a market / target audience then there may need to be some compromises made. Enjoyed your post! I need to check that book out. Thanks!